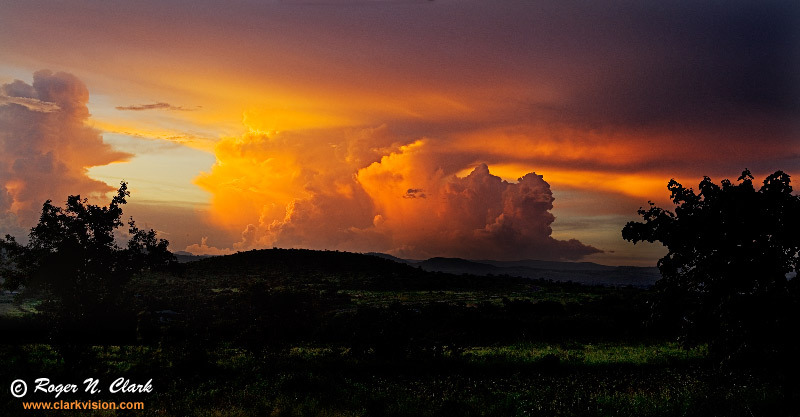 Sunset from the top of the rift wall above Lake Manyara National Park, Tanzania, Africa. Technical: Canon 1D Mark II 8-megapixel camera, 28-135 mm IS lens. Exposure: manual 1/50 sec. at ISO 200, f/5.6. Six frame digital mosaic (hand held), giving 9873 x 5151 pixels.